According to some online history reviews, glass bead making is one of the first human arts. If you scroll in the global history timeline, you could find about glass beads even in the Roman times. The glass beads crafting might have been born in the Egyptian culture, where they would be crated from a clay and self forming coating. Glass beads have an archaeology significance because they point to the trade times and where the technology made its fundamentals. The idea is not to enumerate and specify all it’s history but just to give it some basic reach points into the evolution and growth of glass beads. Today, glass beads are overwhelming the markets around the world. Thousands, tens of millions, billions of glass beads are waiting for people’s creative mind around the world. I wouldn’t be able to tell you at this very moment how many deliveries are in one day among the globe of glass beads but the numbers are very overwhelming. Even if we put it in packs of 40 pieces each, still we’d get billions of packs. Glass beads bring colors into our lives. Anyone in the world can make a glass beads bracelet. It’s simple to craft and you can make the day to someone very dear to you. What it takes? It takes some will to do it and motivation. Patience is a base ingredient but at the core of it stays creativity. Burst with it when it comes to glass beads bracelets. It’s worth having the fun and making a surprise to someone you care about. That being said I recommend glass beads crafting to anyone in the world. All it takes is some threads, some glass beads of your favorite color and never the less a creative mind and will to make a little surprise to your dear ones. Do not hesitate; glass beads are available pretty much everywhere. You can find some at the local mall, local stores and libraries as well. Get informed and start crafting bracelets for your dear ones and make their day’s one to remember you as a very good glass bead bracelets crafter. Glass beads are a fascinating, beautiful creation. They have functioned as currency, gifts, work of art and symbols of high status. The glass beads are recorded as being created, traded and worn as jewelry by the earliest civilized societies. We featured may dichroic glass beads from Paula and hand- blown beads from fire designs produced using a multi- layer coating, glass pearls, frosted glass beads and glass rocailles. The technology for glass beadmaking is among the oldest human art. Glass beads are usually categorized by the method used to manipulate the glass. Lead glass and especially borosilicate is available in tubing, making true blown beads possible. In addition, beads can be fused from sheet glass or using ground glass. Wound glass beads were the earliest beads of true glass were made by winding method. The wound bead, while still hot, may be further shaped by manipulating with graphite, wood, stainless, steel, brass, tungsten or marble tools and paddle and it can also be pressed into a mold in its molten state. Drawn glass beads are also very ancient. There are several methods for making drawn beads, but they all involve pulling a strand out of gather of glass in such a way as to incorporate a bubble in the center of strand to serve as the hole in the bead. Molded beads are associated with lower labor costs. Thick rods are heated to molten and fed into a complex apparatus that stamps the glass, including a needle that pierces a hole. Lamp work beads are a variant of the wound glass beadmaking technique and a labor intensive one, is what is traditionally called lampworking. Dichroic glass beads are being used to produce high end art beads. Dichroic glass has a thin film of metal fused to the surface of glass, resulting in a surface that has a metallic sheen that changes between two colors when viewed at a different angle. Furnace glass uses large decorated canes built up out of smaller canes, encased in clear glass and then extruded to form the beads with linear patterns. Lead crystal beads are machine cut and polished. Glass beads are appreciated all over the world for their shinning and stainless nature. You don’t have to use a lot of money in order to own a shining necklace made from glass beads. If well utilized, the necklace may yet look like it was made from diamond itself and keep you well appreciated. Dichroic glass beads– these types of beads produces high- end art beads. They have a thin film of metal that if fused to the surface of the glass. Its surface has a metallic sheen which changes between two colors when it is viewed at different angles. The beads can be pressed or made with traditional lampworking techniques to result into beautiful necklaces. Lead crystal beads- these beads are machine cut and polished. They sparkle more than other glass but are also fragile. Wound glass beads– it is made by stretching glass at high temperature around a solid core. The bead may be shaped further while still hot. How useful are glass beads? There are much more types of glass beads around the world. Each type of glass beads is unique and beautiful. Different people prefer different types of glass beads to make necklaces. You can also mix different types of glass beads to come up with a gorgeous artistic necklace. 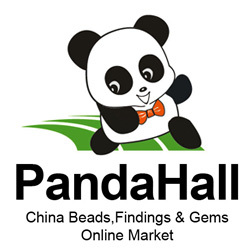 It is just a matter of choosing the best beads for you. Glass beads have been used to make different types of necklaces such as personalized rosary for catholic believers and much more. It is acknowledged that glass beads still remain a top choice for both jewelry makers and wearers. This is not only because they are affordable, but because they come with the benefit of different shapes those users can enjoy. It’s quite ideal to understand what really makes these beads a great choice for jewelry lovers. In this case, it makes it easier for you can purchase them based on solid information and not necessarily marketing hype. One thing that you are always guaranteed of with glass beads is different sizes and grades. And so, you can always choose what will best meet your unique needs without any hassle. You can choose from type B4, B5, B6, up to B13, based on your project and needs. Additionally, they come in different mesh such as 30-40, 40-60, 50-70, up to mesh 170-325. It is all comes back to likes and preferences based on what you actually want to achieve with your jewelry making project. Grain shape; in this case you can go for round, oval, square, or anything in this range. Hardness; it would be disastrous if you don’t choose beads that have a hardness that can stand the test of time. If you have been thinking of using glass beads jewelry, you are advised to do some research before deciding on specifics. Remember, some of the glass bead characteristics will suit bracelets whereas others are ideal for necklaces. It’s for this reason that quality matters a lot when it comes to glass bead jewelry. The best thing is that if you contact reputable online stores, you get variety and this is a plus even for the novice jewelry maker. If you want to make the best glass bead jewelry, then you must prepare for the projection by getting the necessary materials in place. This should include getting the best wire size and best glass bead, get a glass cutter if you will need any, and a kiln, if need be. It all depends on how customized you desire the necklace to be. Of course, the materials and tools you have in your hands determine how fast you can complete any given project. Fusing equipment, this is elemental for the job to look as professional as possible. Therefore, do not by any means overlook it-if you want excellent results. It is equally important for you to get the best possible glass bead size. This is something that will help your end project stand out, and also give you ample tie while working. As a matter of fact, many of the glass beads store sell these beads in different sizes including size, 6,8,11, and 15. The size will determine the number of beads that you can use in a tube. Ultimately, the size determines number that you can buy. If you are thinking of doing a project successfully, then be advised to purchase these in bulk. As such, this will definitely save you time and money. In fact, if you desire to be more creative then you can mix up the glass beads and at the same time get the best possible results. In regard to color scheme, only opt for those that complement your skin tone and dressing code. Everyone likes jewellery. I mean, who does not like shiny stuff? But the bragging rights go up manifold if the jewellery is self-made. Interested? Well, before starting out, the first thing that you need to understand is that you need jewellery making supplies for even the most basic of these operations. Not to worry, it is not rocket science. The science (or maybe we should call it art) of jewellery making is so easy that practically anyone can do it. First thing that you need to understand while getting the supplies is that there are things which every piece of jewellery needs. So you need to keep these in larger quantity. The first of these is the string. Remember, almost every kind of jewellery that you make will require some sort of connection or the other. As such, the string forms one of the most important part of the piece. Also, make sure that you get more than one variety of these. For example, while the simple cord might be good enough for the light pieces that you will be starting out with, as you gain more experience, you will inevitably shift to more complex, and, more weighted materials. For these, you need advanced jewellery making supplies among which will be plastic wires and even metal ones. Keep these handy so that you do not lose your inspiration while trying to think where you put your materials. Remember, it is imperative that you keep a sketchbook handy. Make a rough drawing of what you are thinking about when trying out a new design. Also, make a jewellery supplies box. These are fairly easy to make and will make your creativity infinitely harder to channelize (believe me, I have been there). If you are too lazy to make a box, simply buy one. What sets one maker apart from the other? How you think. While jewellery making supplies does make a difference, at the end, your designs and your creativity play the most important part. You have to understand that everyone can make glass beads of various colours. But seldom do people pay much attention to the colour combination. However, I can tell you that this is by far the most important thing to have an eye out for while designing a new piece of necklace. Roam the shops to find out different materials and different designs that you can work with. Usually, the ethnic designs work the best as people in an area can relate to designs which they have always seen. If you think that a design is beautiful, make a single piece and ask friends and family on how it actually looks. Not everyone has the same taste in jewellery. What you think is beautiful might not be so in everyone’s eyes. Base your next shipment of jewellery making supplies on these suggestions. This is especially true if you are looking to sell a few of these. After all, nothing feels better than earning money doing what you like. How To Make Your Own Glass Beads To Use In Attractive Jewelry? You may have many pretty ornaments made up of different glass beads. Have you ever thought of making your own beads? I once tried, and here I am sharing the particular procedure of glassblowing with you that is called lampworking. Tools and materials you will need to make Glass Beads are UV protection safety glasses, Propane or Gas Torch, Core rods, Bead release, Drill and bits, Glass, Baking Soda, and Copper Winding Wire. To make a bead, you need to hold the coated core rod in your hand at 900 of the flame and heat it slowly. Preheat the glass very slowly and carefully with your other hand; make sure that the core rod must be warm enough for the hot glass to stick to it. Once the tip of the glass starts glowing, it is ready to submerge in the flame. You need to gently roll it in your fingers to heat it evenly. Once you see a glowing drop of glass hanging down on the end, apply it to the coated section of core rod while rolling it. The molten glass will stick itself to the rod and when you have used that glowing drop, cut the glass rod away from your new bead by holding it in the flame till you see the thread separates. Repeat the process to get the required size of the bead. For the bubble glass beads, apply opaque as the base color of the glass, head the whole bead for glowing and as the glow fades, roll it in the heap of baking soda, it will help it in cooling down faster. Keep the rod warm in the very end of the flame at the time you are heating transparent glass in the flame’s base. When you have a good amount of transparent molten glass drop, apply it to the outside of the bead to coat the opaque color. The moment you put it on, the bubbles of baking soda will begin to form. You need to heat the transparent glass to make your bead looks nice and even. Try not to heat it too much as overheating will result in the bubbles to burst and leave you with craters. You need to play around with it to get it right. You must anneal your glass beads so the risk of their breaking can be eliminated. Beads can often break because of internal stress of being cooled down speedily before reaching the room temperature or while you are taking them off the core rod. I used Japanese annealing bubbles to cool down my glass beads in one piece to room temperature. Always hold the core rod and the glass rod or stringer perpendicular to each other. If your bead is not symmetrical, heat it in the flame to molten and constantly roll the core rod, let the core rod cool down afterward. Before putting the bead into cooling bubbles make sure that it has stopped glowing. This is how you can make your own glass beads to make your own stylish jewelry.